I'm not based in the United Kingdom, and yet, I can't help but feel sad over news that Bleeding Cool editor-in-chief Rich Johnson broke today about the "death" of Marvel UK. The longstanding imprint, created in 1972 to further the Marvel brand around the world, was home to a great many noteworthy characters over the nearly four decades since it was established, and served as a breeding ground for new talent that would often find its way to U.S. shores. Now, following Disney's purchase of Marvel Comics in 2009, the new parent company has elected to not renew their license which permits production of new content, instead preferring to continue farming out reprints of U.S. content in all U.K.-published magazines. What started out as a home for reprints of Marvel's U.S. content soon became more in 1976 with the landmark decision to have U.S. creators Chris Claremont (then writing the revival of Uncanny X-Men with artist Dave Cockrum) and Herb Trimpe (fresh off a seven-year run on Incredible Hulk) create Captain Britain, thus providing the fledgling branch's first original content, but not nearly the last. 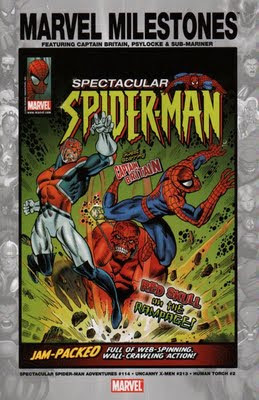 Although initially a success with full-color, weekly stories, sales nonetheless flagged and the series combined with their weekly Spider-Man title in less than a year. Marvel UK also experimented with a Star Wars title that combined U.S. reprints with original content by British creators. Eventually, Marvel publisher Stan Lee recruited Dez Skinn to assume control of the line in 1979, and that's when the line caught fire. Skinn organized a host of talent for the weekly Hulk Comic consisting of David Lloyd (later of V for Vendetta), Steve Dillon (later of Preacher), John Stokes, Paul Neary and John Bolton, among others. He resurrected Captain Britain to co-feature in a Black Knight strip in the book, and revamped other books too. His most significant contribution was the licensing of the popular "Doctor Who" character from the BBC for his own weekly magazine. Skinn left the company in 1981, and other editors took control eventually, including Bernie Jaye, Richard Starkings, and Paul Neary. The company increasingly focused on monthly publications more than weekly ones. 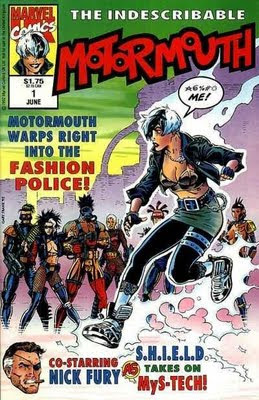 Jaye was editor when Alans Moore and Davis began their magical run together on Captain Britain on Mighty World of Marvel and later Daredevils--probably, upon reflection, the apex of creativity at Marvel UK. In the mid-1980s, Marvel also acquired the licenses for the hot "G.I. Joe" and then-new "Transformers" properties from Hasbro, and the U.K.'s weekly comics matched--even exceeded--the popularity of their U.S. variants, in part because the U.K. had to tell more new stories due to the titles' frequency. Talent involved in this wave of stories included writer Simon Furman and artists Dan Reed, Geoff Senior, and another gent you folks might've heard of: Bryan Hitch (now of The Ultimates and The Authority fame) among many others. Sweeping changes occurred at Marvel UK during the 1990s, just as with other companies. 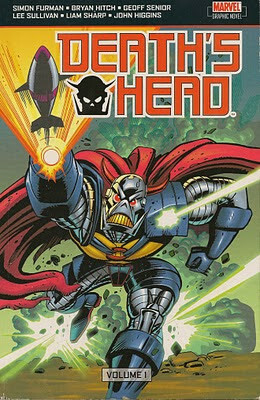 Editor Richard Starkings advocated a switch to the same comic format shared by the U.S. Several new series launched, including Death's Head, based on the character created by Furman and Senior in Transformers. Talent during these years included Furman, Hitch, Dan Abnett, Andy Lanning, Liam Sharp, Gary Frank, Gary Erskine, Simon Coleby and Charlie Adlard, all of whom have since had their share of successes in the U.S. in recent years. Unfortunately, too many books released in such a short time, combined with the larger comics market suffering much the same problem in the mid-1990s, doomed the company, who became relegated to publishing almost exclusively reprints. In 1995, the European company Panini bought Marvel UK's assets and continued to publish both reprints and new stories under license. Most of their original stories were published in series like Spectacular Spider-Man, Marvel Rampage, and the recent Marvel Heroes. In an ironic twist, the thirty-third issue of Heroes was already due to be a minor milestone with the return of Death's Head in battle with the incredible Hulk by original creator Furman and artist Simon Williams. That issue would, I'm told, become the final issue to feature original content from Marvel UK. And now, Marvel UK ends the way it began, as an all-reprint line. 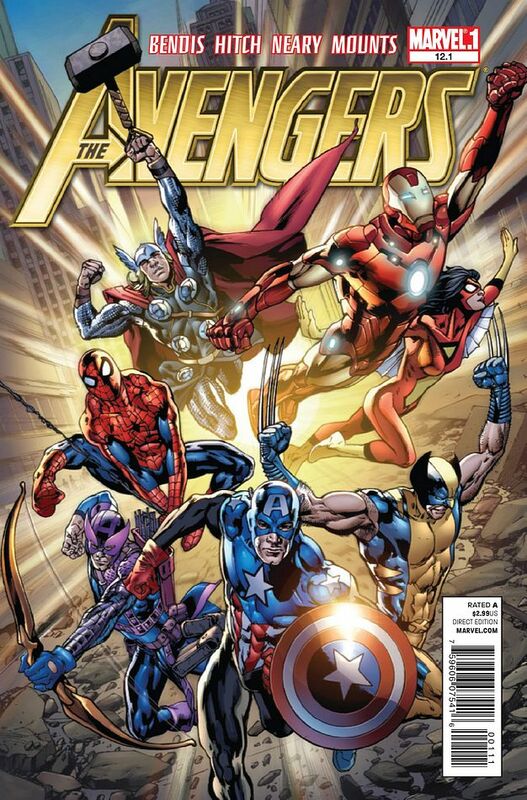 Thankfully, Marvel UK did go out with a bang and not a whimper, at least as far as their last original story goes. 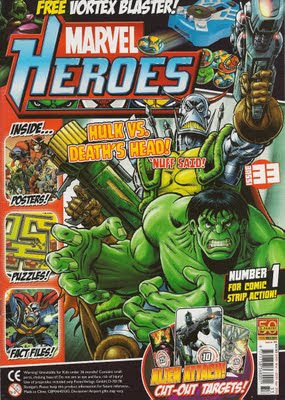 (You can read an interview with that strip's artist Simon Williams here and I'll be reviewing that final two-part story featuring the Hulk/Death's Head fight later in the week, right here.) That said, I'm extremely disappointed and disheartened that Disney felt compelled to effectively kill the company, although I certainly can see their (selfish) reasons. According to another article by Johnston on the Bleeding Cool site released shortly after the Disney purchase of Marvel, there were many markets in Europe where Panini and Disney were in direct competition with their magazines. Consider, then, that Panini held a license deal with Marvel to publish their books, which thanks to Marvel's new owners, meant that Disney was now having a percentage of their own product published through their key competitor. I get the unnerving feeling that blocking Panini from producing new content under the Marvel umbrella is but the first part of a series of developments, two years in the making, designed to bring all of Marvel's worldwide intellectual property under Disney's sole umbrella. I'm confident that Disney will next fail to renew any existing license, preventing Panini from releasing any reprints, meaning their remaining series like Marvel Heroes and their stellar graphic novel production program will go away. And then, Disney will be free to produce and distribute Marvel properties without a middleman like Panini reducing their profits. Will Disney, with the freedom to distribute Marvel's properties in the overseas market, have use for a stable of exclusively foreign talent like what Panini had in Marvel UK? Sadly, I don't think so. In recent years, thanks to the efforts of Senior Vice President of Creative & Creator Development C.B. Cebulski, Marvel has become an increasingly global presence in their search for talent, eliminating the need for a "farm team" such as Marvel UK has historically been. Yes, it'd be nice for Marvel to assess the talent they had in their U.K. branch before summarily dismissing them, because I believe a good few of them could continue to serve the company and become real breakout talents if given the opportunity in the U.S. market. But it appears Marvel is treating them less as part of the family and more Those Guys Over At Panini Who Do Knockoffs Of Our Fine U.S. Work. Which is a bloody shame, to borrow the Brits' expression. You guys out there--and I know you are because you've read this blog, my Twitter page, and that iFanboy interview with Simon Williams--will likely never experience that Hulk/Death's Head story on these shores, and it's sad, because it's some excellent work by the talents involved. Marvel U.S. seems to look down their nose at the U.K. folks, neglecting the decades of history that have sprung from across the pond. Sure, they'll glorify Bryan Hitch and put him on a pedestal--nice new gig on Avengers #12.1, yeah?--but then they'll give precious little respect to the company and the country that brought him to the attention of fans in the U.S. 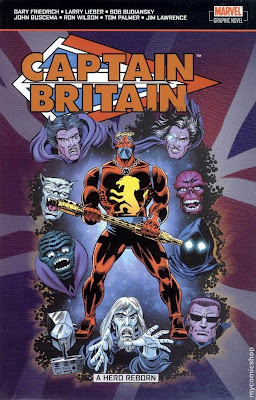 They'll reprint one measly story about Captain Britain, as told for the first time in years by British creators, but they'll stick it in a book nobody cares about that has atrocious sales figures (such as they did with the above Marvel Milestones). Marvel's Senior V.P. of Publishing Tom Brevoort barely acknowledged a post on his Formspring page that referenced the Death's Head/Hulk story, which tells you the level of his interest. It's sad but true, but if fans really want to see this project come out in the U.S., they've got to raise a stink unparalleled in the industry today, and I really don't think that's going to happen. I can't imagine people are going to get angry enough over the eradication of Marvel UK that they'll care about this one little project. But comic fans, I'm going to ask you to do something for me, and for the creators of Marvel UK, who deserve a better send-off than they're getting. If you arrived at this story via a Twitter link, retweet it. If you saw it on my Facebook page, click "Like" or reply to it. Use the tools at the bottom of this post and spread the word--link to this story from whatever social media sites you can. Send e-mail or actual letters to Marvel to voice your opinions. Post on your blogs. Let your voices be heard. Don't let Marvel UK go gently into that good-night. Tell the world! Let's get this story retold in Marvel U.S., but on a major stage--in an actual issue of The Incredible Hulk at best, or at least, in a Marvel Vault one-shot like they've been doing this year. Come on, my friends. Stir the pot and make sure the U.S. acknowledges the departure of a once-formidable brother in the comics medium. Gary... I'd just like to be the first to thank you for posting this. As you well know, I'm none too happy regarding Disney's decision in this matter.. plus the fact that Marvel themselves really don't seem to care either. Aside from myself, there are a lot of very talented freelancers who have lost jobs over this. Marvel UK have built up a very loyal fan base over the past few decades... thanks to the great work of the many creators you have mentioned in the post above. And as you rightfully mentioned, many of them have gone on to working for Marvel US. I hope these creators feel as sad about this as I do... and remember where they got their big breaks (part of me even hopes that some of those creators will speak up, and make a noise about it... but to be honest, I feel that I hope in vein). I'll always be grateful to Marvel UK/Panini for giving me my big break in comics, and for allowing me to live out my life-long dream in drawing the characters that I love. I've drawn the Hulk... my life-long hero of the past 34 years. 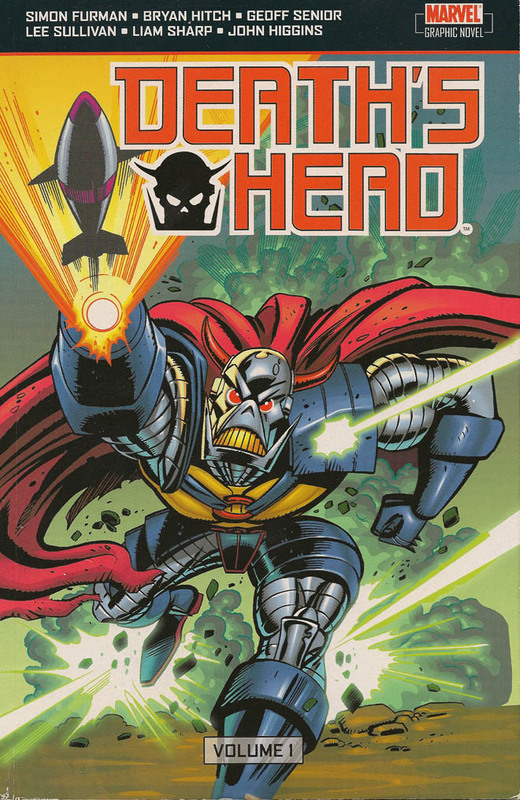 I even helped bring back Death's Head... even if it was just for one issue (and I'm certain it would have been more, but the mighty 'Mouse' put the kaboosh on that). I've had a wonderful career thus far drawing Marvels characters... and no matter where my career goes from here, I'll always be proud of that. No-one can take that from me... not even Disney.